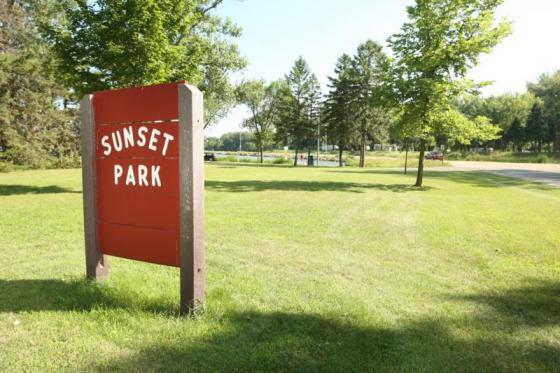 The actual Sunset Park area, approximately 1.0 acre, is located on the Lake shore. This area was donated by industrialist E.D. Olson and his wife Bella G. Olson in 1945 and designated as Sunset Park in the deed. 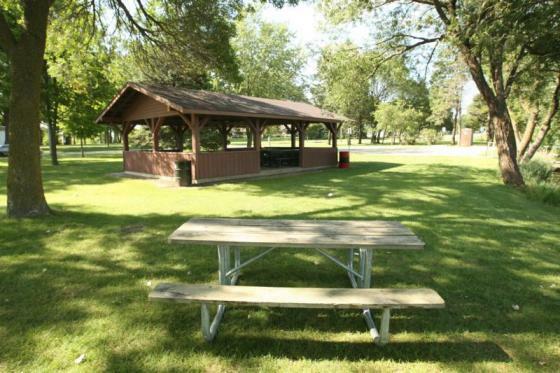 The area across the road from the lake (approx. 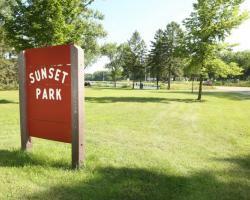 5.7 acres) is part of the Olson Park property, but has been only referred to as part of Sunset Park. Maintenance building is used for storage in winter months. 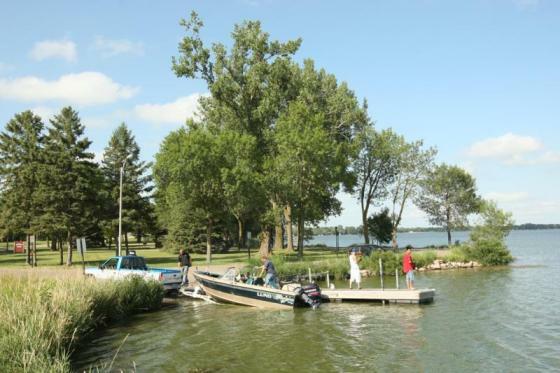 One way traffic for launching boats. 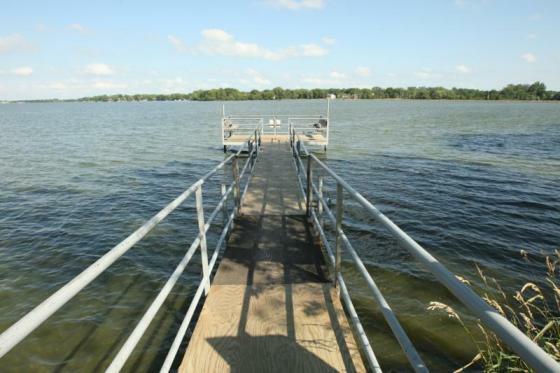 Installed new floating dock 2008, moved existing to Centennial beach area.